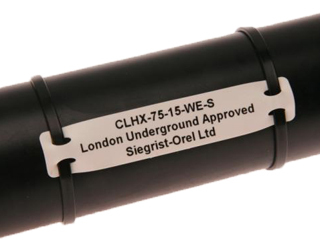 The SumiTag-CLHX cable maker is specifically designed for the marking of cables, particularly along its route. They are made from zero halogen, low toxicity, radiation crosslinked UV stabilised polyolefin sheet using OSNH grade material. It is mostly used for mass transit applications where human life is critical as it features extended fire safety standard properties. The markers are supplied on rolls for thermal transfer printing, which means production, storage and picking is easy and convenient.